I. Am. Sleep. Deprived. What a great time to write then, eh? I am currently en route back to Portland and believe I just had the worst airplane sleep ever—as in maybe I slept two hours on an overnight flight. This is also coming off of a weekend of 5-hour nights. ¡Que malisimo! Yesterday, as my flight took off from Buenos Aires, I quietly began to cry as I watched the expansive city lights fade away. All of a sudden my lengthy trip, was over. My friends asked, when are you going to return? I barely have the next 4 months planned out, so of course I had no answer for them. I think back to my memories and experiences in Buenos Aires, the people I met, the streets I walked, the dances I shared, the emotions I felt, and I know that I've changed and learned and grown. But it is difficult to put my finger on just how that works into my returning life in Portland. Today, I want to leave you with a female emcee that I've been listening to lately. This is Reverie from L.A. This lady speaks her truth and I respect that. I don't share in a similar life story, but I see this lady open to change and growth. And that I can vibe. As I'm slowly getting the hang of this blogging thing I one, really enjoy it and two, find that I need more time to prepare my stories/interviews. So while I have future posts in the works, today I will do a bit of a throw back to that one time I took a hip hop class from Niki Awandee. Do you know her? If you are a dancer, possibly. If not, not so likely. 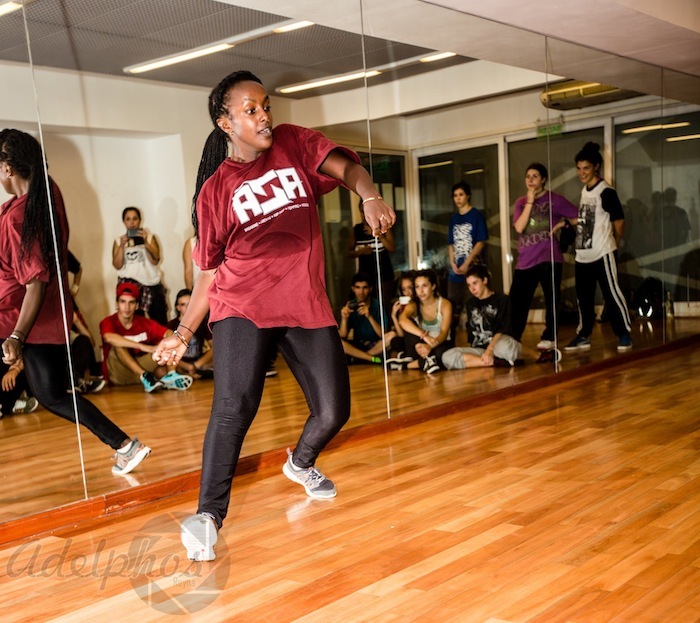 This lady is a hip hop dancer from Sweden with a light-hearted, but vibrant energy. She is a member of Soul Sweat Crew and is well known for winning (with her partner, Martha) Juste Debout Hip Hop World Championship in 2011. But since then has continued growing, battling, and teaching internationally. 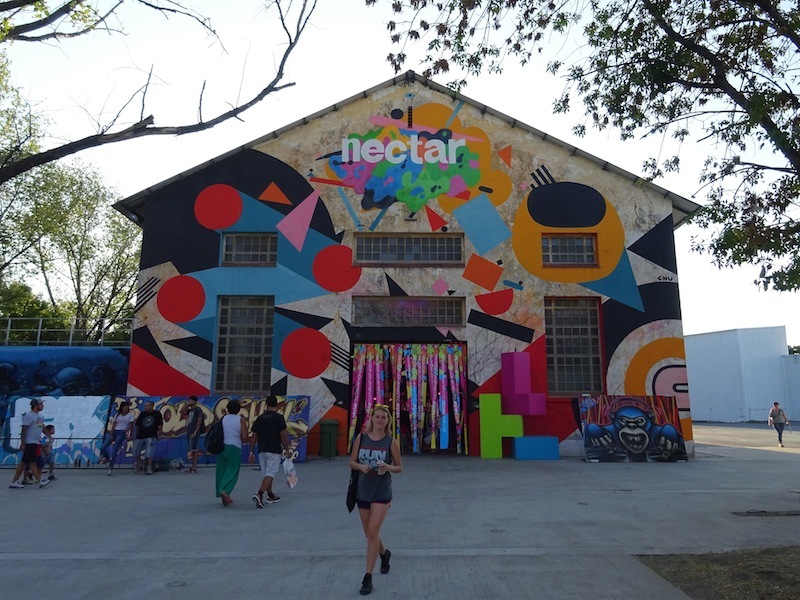 She was part of a dance camp in Uruguay and local dancers in the Buenos Aires Beat Crew were able to get her over here to Argentina to teach a class (Uruguay and Argentina are a quick boat ride away, btw). The class was full and somehow I landed a spot in the back (dangit!). Still, I enjoyed every minute of it. The majority of the class was spent on drills and variations of specific steps. I appreciate that Niki steered clear of choreography but instead demonstrated multiple movement options with each step. I feel that this puts the dance in the student's hands for future exploration. It's as if she is saying, what can you do with your freestyle and with these steps? Go do it. How many ways can you move forward, right, backwards, and left? Countless. Niki had us drill movements leading with our shoulders, utilizing undulations or sharper angular motion, for example. Meanwhile she doled out encouraging words with a smile, all the while highlighting the importance of embodying all aspects of the music. Overall, I left feeling uplifted and properly worked. Also happening is this documentary of Niki and Martha. The trailer was released 3 years ago BUT, I just saw that the documentary was shown at a film festival a few months ago. I believe it is still yet to be released to the general public. Tora Martens, the director, has followed these two for the past 5 years and clearly shows their connection to each other and to the dance. I love this trailer. Today, I woke up, listening to the rain, drifting in and out of sleep. I eventually rolled over, looked at my phone and realized I had five minutes until my Spanish class. Oops! I jumped out of bed and was shortly on the bus, but maintained my tranquil beginning, and integrated it throughout my day. My boyfriend, Jung, left to return to the States yesterday. And my girl, Lindsay, who was supposed to arrive last Friday, couldn't get here due to the volcano popping off in Chile. Flights were cancelled for days. Boo. So I find myself alone and it just so happens that today, it is very cold. And when I say cold, I mean it feels like a Portland, OR, day here. I decided to take this day completely to myself, which I now remember is easy to do when it is gray, rainy, and I am lacking a proper umbrella. Now, I am at my favorite coffee shop, LAB, which is currently being struck by the 6 o'clock crowd. It is very common for Argentines to have a coffee and a pastry at this hour, as dinner is later in the evening. I thought that perhaps today I would share a few pics and moments that I have had here in Argentina. I stopped and talked with this sweet lady while I was walking in one of the amazing parks here in Buenos Aires. It appears that rollerblading is actually a widely accepted past time. I feel like rollerblading is uhhh, possibly dorky in the United States, unless you're by a beach town?! I love rollerblading and remember skating to the corner store in Portland last summer to buy some hard cider. I was not the coolest cat but now recognize I'm not a nerd everywhere. 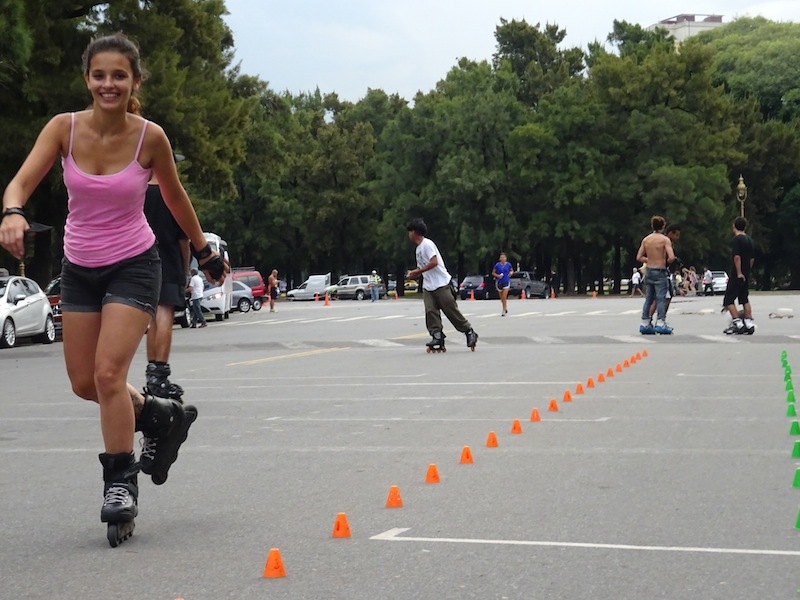 As she was the only chica rollerblading with these dudes, I asked her if a lot of women rollerblade here and she said yes, although not as many participate in competitions. And then these girls.... They are just too cool; I had to take a picture of them. I mean seriously, look at them. The shorts, their colors, the actual roller skates? These girls are totally rad. 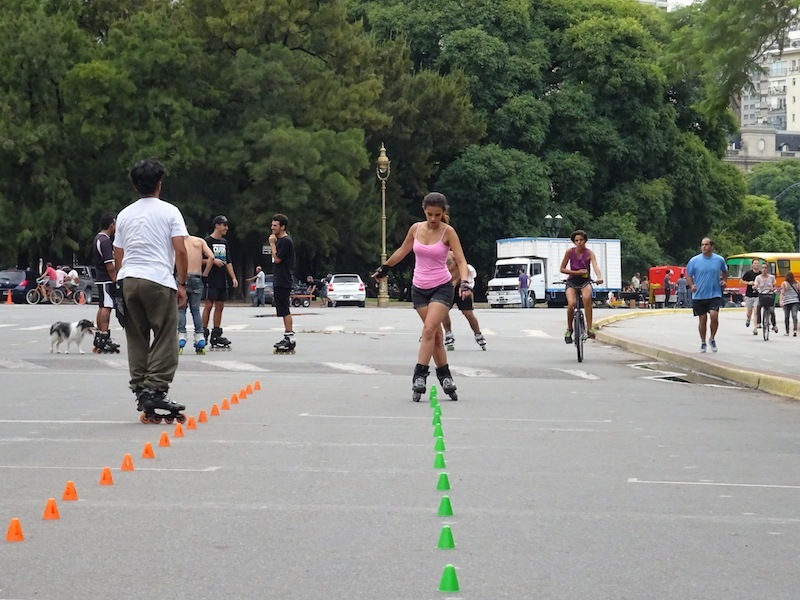 I saw these girls at a skate park which is located inside one of Buenos Aires modern day fairgrounds. These girls are holding it down with the traditional skates! I am thinking skates are making a come back and maybe, I don't even know about it. And lastly, opposite of the skate park was this building. A building completely dedicated to the elements of hip hop. 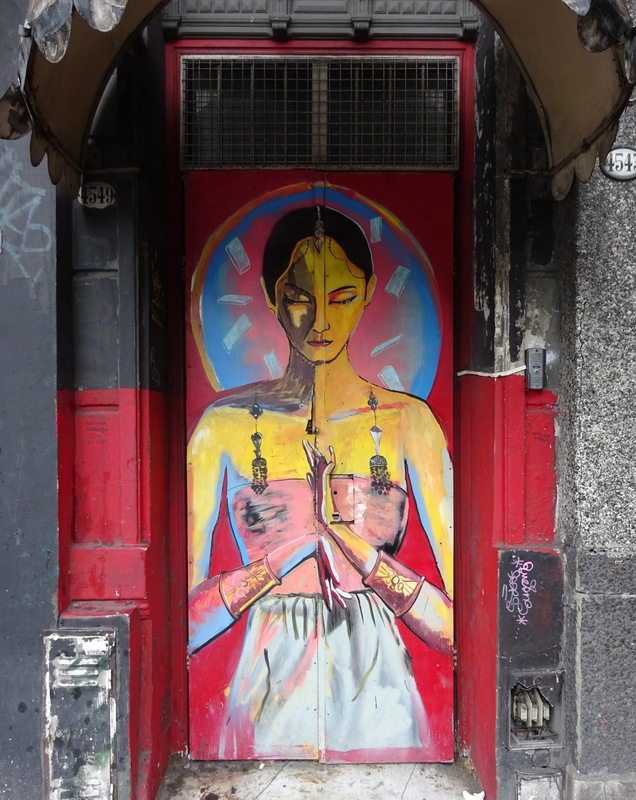 While I took this pic of my friend, Sorcha, there was a breakdancing class happening inside, graffiti on the walls, and an interview playing of an MC. Just a sneak peak into my Buenos Aires experience.